IFS is a process engineering firm that builds a wide range of modular, well site production systems for the Upstream Oil & Gas Industry. All of our products are skid-mounted and ready to “plug-in.” Our engineers will build-to-suit according to your exact specifications and can install your completed modular system anywhere in the world. Below are some examples of the well site equipment we can engineer for you. 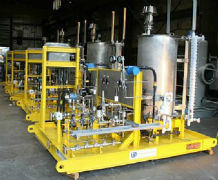 Designed to remove solids, liquids, and aerosols from natural gas. Aspen Plus Process Simulation is used to insure the gas is heated to 50 degrees F above the dew point. 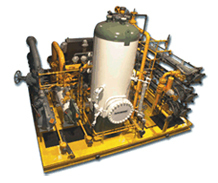 Designed for Natural Gas Liquid, H2O, H2S (for “Gas Sweetening”) & CO2 removal from a Natural Gas Stream. Designed to store/heat/circulate Heat Transfer Fluids which are used for indirect heating of combustible liquids and gases. Designed to remove sand deposited in oil and gas equipment (production separators, inlet separators, crude oil dehydrators, etc.) without interrupting operation. Designed to pressurize/transfer low viscosity crude oil from storage or a LACT unit to an export pipeline. 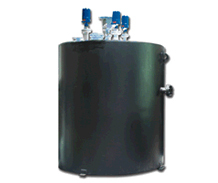 Designed to pressurize/transfer high viscosity crude oil from storage or a LACT unit to an export pipeline. Designed to transfer wet or dry oil from a storage tank to a LACT unit or pipeline pump package. Designed to safely store/meter/inject chemicals into an Oil & Gas production stream or produced water for control of separation, foaming, scale, corrosion, etc. Individual metering pump heads are used for each injection point. Designed to safely store/meter/inject chemicals into an Oil & Gas production stream or produced water for control of separation, foaming, scale, corrosion, etc. Injection Rate Control Devices are used for each injection point. Designed to deliver continuous supply of 95% – 99.95% pure nitrogen gas. Solutions for high ambient temperatures, fixed dew point control for buffer gas, coil tubing for well servicing and export line commissioning. Designed to collect flammable/toxic liquids (closed drains) or non-flammable liquids (open drains) from runoff in a single or double wall sump with leak detection. Automatic level controls start/stop pumps which transfer the waste for further handling. Offers convenient, economical control of resistive loads. Completely eliminates the engineering, design, component procurement, assembly and testing steps required to build a control panel. Monitors and controls IFS packaged equipment. The controls can be skid-mounted and prewired or remote mounted in an unclassified area. 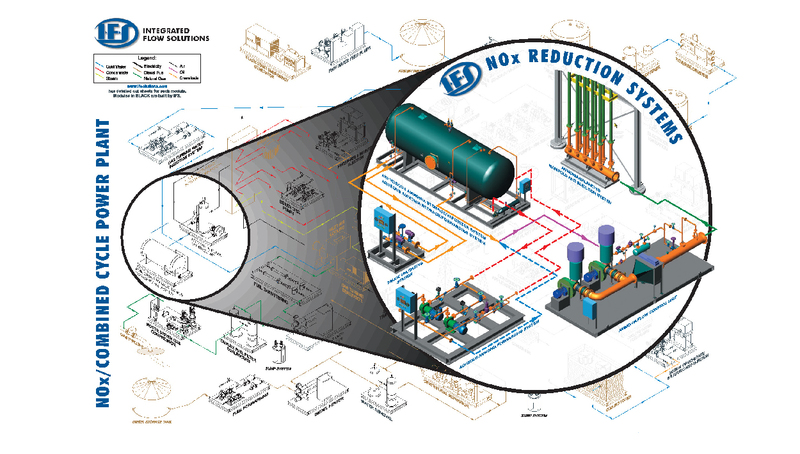 This site map of an FPSO unit highlights some of the Process, Mechanical and Utility Packages that IFS offers customers needing “engineered-to-fit” packages that arrive ready to “plug into” the vessel systems. Process packages include heater, gas conditioning, nitrogen generating and fuel oil conditioning units.